Grenada is a tropical tri-island nation located in the southern Caribbean and the end of the Grenadine Island chain. The nation of Grenada is made up of three islands, Grenada, Carriacou and Petite Martinique. Affectionately known as “The Isle of Spice”, for its cultivation of many spices, Grenada boasts near-perfect tropical weather all year. This enchanting island has a unique compliment of white and black sand beaches, coral reefs, dive wrecks, waterfalls, lakes, rivers, hiking trails, forts, and sailing the turquoise waters of the Caribbean sea. The capital city, St. George’s, has a number of colourful Georgian buildings that overlook the Carenage Harbour. It is undoubtedly one most beautiful harbours in the Caribbean. The Maurice Bishop International Airport has direct international flights several days per week from New York, Miami, Canada, UK and accommodates flights from Frankfurt and Venezuela in the south. As a destination, Grenada is one of the safest places in the Caribbean and the world and attracts visitors from the UK, Germany, US and Canada. Weather: The island experiences two seasons. A dry season from February to end May and a wet season from June 1 to end January. The hurricane season for the Caribbean is June 1 to November each year. Grenada falls outside of the hurricane belt and is a safe haven for mooring of yachts. Population: 110,000 and comprises of African, mixed, Indian, Caucasian and other ethnic groups. 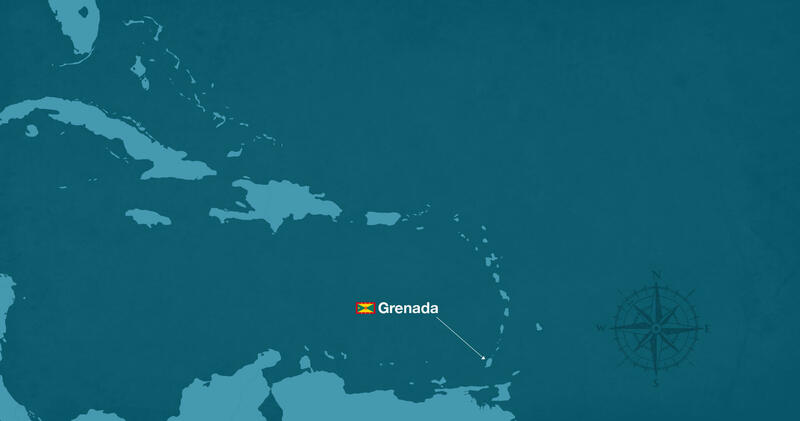 Grenada is a sovereign state and is governed by Westminster Law. It is also member of the Commonwealth of Nations of which Queen Elizabeth II is the Head of State. Grenada offers the Caribbean dream and freedom to explore to your heart’s content. Whether you seek adventure, a get away or just want to enjoy Caribbean luxury, the island has all the amenities and access to make your stay enjoyable. As a visitor, you will enjoy local produce that are organically grown and can be found in supermarkets or the local market. Supermarkets sell local produce as well as international products so you will have all the conveniences of home during your stay. Telecommunications and utility services in Grenada rival that of first world countries thereby keeping you connected to your business and or family. All you need to pack are your sunblock, sunglasses, floppy hat, swim suit and sandals. Luxury Boutique Private Residence Club and Resort situated on the spectacular southern coast of Grenada. Located on its own little corner of paradise, the private lush grounds slope gently downwards to a pristine white sand beach and deep-water anchorage marine facility set in the beautiful turquoise waters of Benji Bay. Located on its own little corner of paradise, the private lush grounds slope gently downwards to a pristine white sand beach and deep-water anchorage marine facility set in the beautiful turquoise waters of Benji Bay. A rainforest trek takes you to the first of the Seven Sister Water fall, and a chance to invigorate yourself in the cool fresh mountain pool that flows into the Great River.